Hayes Alexander III is an ex-engineer with a serious interest in making maximum utilization of available resources. As someone that usually has several projects in mind (if not in motion), Hayes likes to save money, cut down on excess stuff to store and maintain, and "try before he buys". Hayes also wishes for everyone to have these opportunities and so enthusiastically works to sustain and maintain the Tool Library! Tori Brewster currently works as a staff accountant and hopes to use her nerdy love of budgeting and financial planning to help expand the membership base and community impact of the Tool Library. She has a passion for sustainability, community building, and alternative economic models, such as bartering, Buy Nothing, and lending libraries! 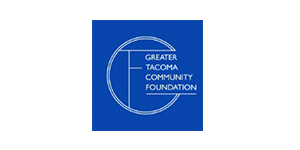 Adam Gapsch joined the Tool Library as a volunteer in June of 2017 as a way to get more involved in the community and help reduce compulsory consumption in Tacoma. He works as a training consultant and brings his experience in that field to the Tool Library board, helping to develop and optimize sustainable processes for continued membership growth. Ben Haines brings to the Tool Library his experience in the public library sector, where an average day might involve everything from project management to cleaning windows. He believes that DIY can build confidence and creativity, and turn consumers into contributors. Traci Kelly is the Executive Director of Catherine Place, a women's center in the Hilltop neighborhood. Her passion for tools was passed down from a family of artists and mechanics. 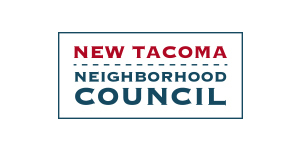 She has been on the Tacoma Arts Commission for over 10 years and the New Tacoma Neighborhood Council almost as long. She lives quite close to the Tool Library, which is a good thing since her hundred year old Craftsman house needs a lot of love. Sharayah Kinney (chair) has been volunteering with the Tool Library since its inception. She became the Board Chair in summer 2016, leading the library. With a bachelor degree in Business Marketing, she brings business, marketing, communications, project management and event planning skills to the library. She is an advocate for reducing consumption by way of reusing and recycling, and has a strong passion for community projects. Kerry Swenson, who has a background in communication and project management, joined the Tool Library in winter 2019. An avid packed lunch-er, Kerry aims to support sustainability in everyday living. She believes that power comes from knowledge and is excited to help the Library remove barriers to tool use as well as expand her own tool skills. Left to Right: Hayes Alexander III, Sharayah Kinney, Rebecca Solverson, Traci Kelly. Left to Right: Geoff Cole (staff), Traci Kelly, Nick Cusick, Sharayah Kinney, Hayes Alexander III, Tori Brewster, Ben Haines, Kerry Swenson, and Adam Gapsch. You can find Britt - Fix-it Fair Coordinator - and her ultra bright smile at Fix-it Fair events happening around Tacoma!